Brethren – this article is so troubling to me and should be to you as well. I will take excerpts from the piece and interject commentary. If you have never believed that the Vatican is evil, perhaps this piece will help to change your mind. Although it’s forever surprising to Americans to hear this, when Iranian President Hassan Rouhani called on Pope Francis Tuesday, he did so as head of a state that has enjoyed diplomatic relations with the Vatican for much longer than the United States, and arguably representing a strategic partnership that’s almost as important as Washington. Since when is the Vatican and its Pope considered a nation to be “called on” by heads of state for “strategic” reasons? Especially by a most provocative and controversial nation such as Iran? Iran and the Holy See established full diplomatic ties in 1954, 30 years before the United States did so in 1984 under Ronald Reagan, and the bond has remained uninterrupted ever since, even during the Iranian Revolution and the US hostage crisis. And the Vatican is bragging that their close ties to Iran continued “Even during the Iranian Revolution and US hostage crisis.” REALLY? This is something to be bragged about? Oh, I suppose that would have shed a bad light on the pontiff to meet with the head of Iran right after the Islamic terrorist slaughter in Paris. Not so long ago, when Iran’s ambitions to become a nuclear power still posed real questions about global security, such an outing would have been problematic, especially for a “Peace Pope.” Last year’s framework agreement with the P5+1 powers, however, has made it more thinkable. So, the incredibly horrible nuclear treaty with Iran made the visit more “thinkable.” ? At one level, the close ties between Rome and Tehran reflect the often under-appreciated fact that both the Vatican and post-revolutionary Iran are basically theocracies, representing spiritual traditions — Catholicism and Shia Islam — that have a surprising amount in common. Wait until you read how commonalities between Shia Islam and Catholicism are expanded upon! Iranian writer Vali Nasr, author of the 2006 book “The Shia Revival,” argues that the divide between Sunni and Shia bears comparison to that between Protestants and Catholics, with Shia being the branch closer to Catholicism. Oh wait…… except for the fact that Protestants and Catholics do not terrorize and slaughter people. Yes! The Catholic Church is filled with mysticism! Holy family? Mohammad and his ilk were murderers and molesters of children. Well, the molesters of children would be an accurate commonality with the Catholic church. How dare this writer compare the death of our Savior Jesus Christ, to the death of Mohammad? 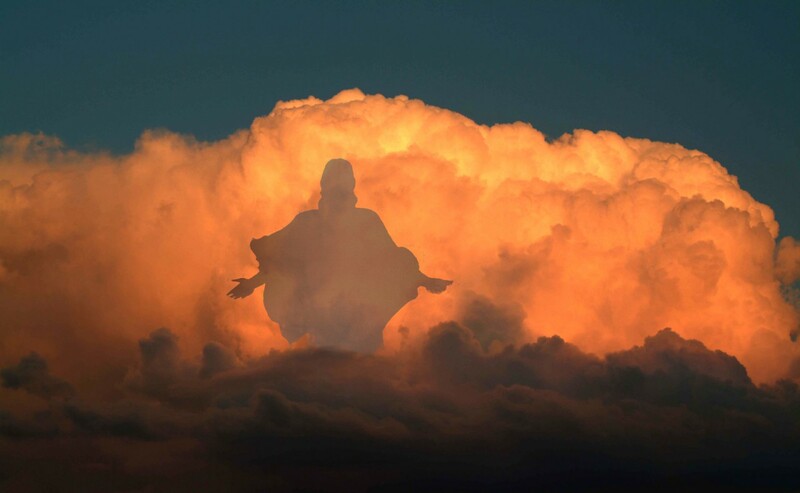 Jesus Christ lives and sits at the right hand of the Father. Mohammad is dead. Oh, but Bush was right! Iran IS part of an axis of evil! Tehran also sees the Vatican as a firebreak with sometimes hostile Western nations. In 2007, when it seemed as if concerns over Iran’s nuclear program might lead to armed conflict with the United States, Iranian diplomats quietly sought out the Vatican as a potential mediator. “Hostile Western nations?” Unbelievable. Incredible propaganda! More PROPAGANDA! ISIS is definitely the face of fundamentalist Islam! Ironically, some Vatican diplomats actually have greater confidence in the protection of Christians in the Middle East by Iran and Russia than by the Western powers, who, in their judgment, simply don’t take religion seriously as a source of identity. I actually have no words for this excerpt. Well, maybe ‘bull hockey’ would suffice. Francis has already made trips to Turkey, Israel, Palestine, and Jordan, and has also repeatedly voiced frustration that security concerns so far have made it impossible for him to go to Iraq and Syria. In that context, an outing to Iran would fit naturally both with the pope’s political priorities and also his outreach to the Islamic world, which recently found confirmation in indications that he’s also planning to make a first-ever papal stop at Rome’s Great Mosque. Well, I’m sure that this partnership is destined to endure – right into hell. I’m sorry if I offended any readers with this piece, but we need to speak out against this pope of Rome. His words have had nothing to do with the Gospel of Jesus Christ. He is mouthpiece for the U.N. and it’s Sustainable Initiatives. He is a Marxist Socialist. I am sick and tired of hearing news commentators speak of this pope as if he is deity. He is FAR from that! Hi, I just joined you this week, just happened to find your site. God works in mysterious ways! Praise his Holy NAME! Interesting article. My grandfather was an old-fashioned Methodist minister, he’s been gone for years. He ALWAYS maintained that the pope would be the false prophet. I’ve always agreed, and Francis appears to be working had for one-world order, assume chrislam will be in there too.